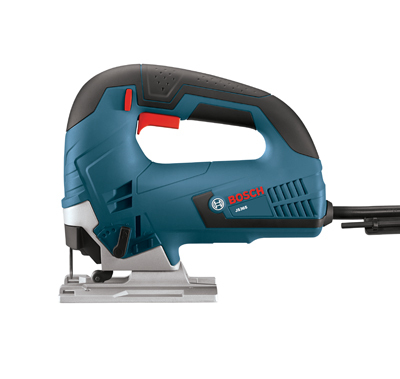 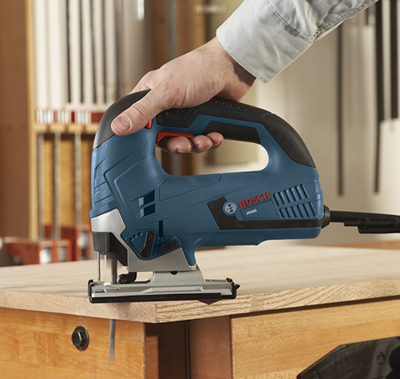 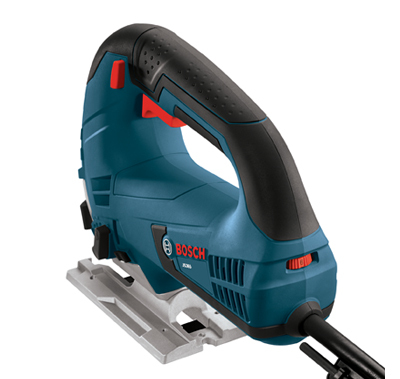 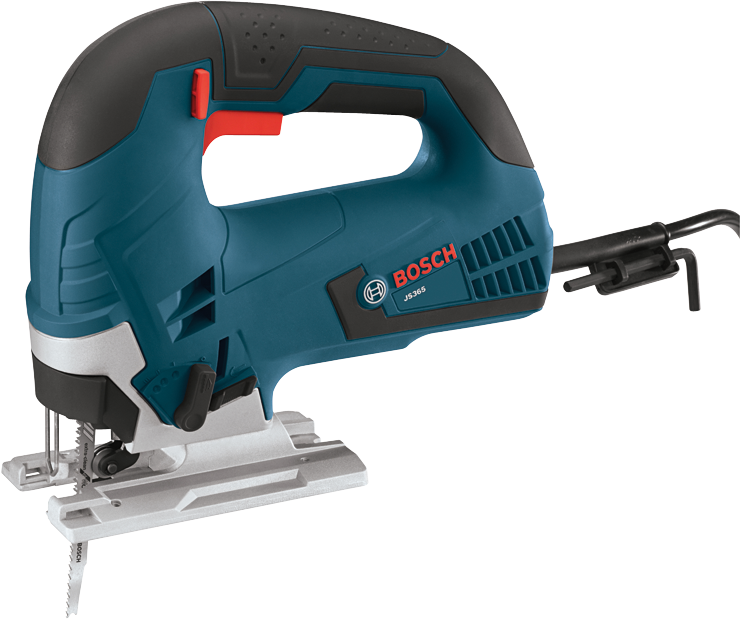 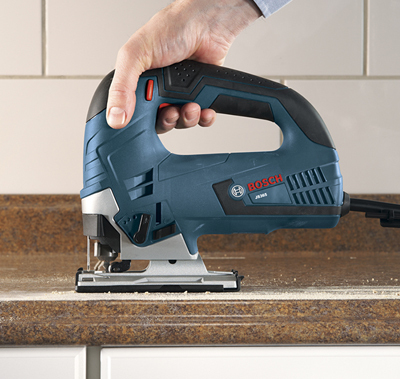 The Bosch JS365 Top-Handle Jig Saw provides plenty of power coupled with outstanding handling and accuracy. 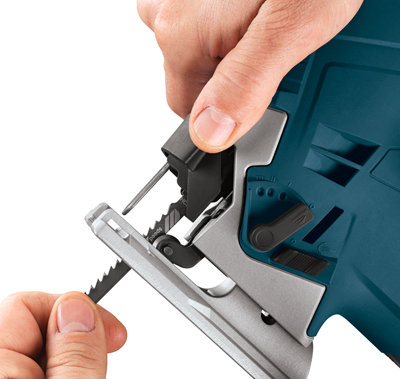 Finish carpenters and kitchen and bath installers will appreciate the powerful 6.5 Amp motor and variable-speed control, making this saw an excellent choice for curve-cutting. 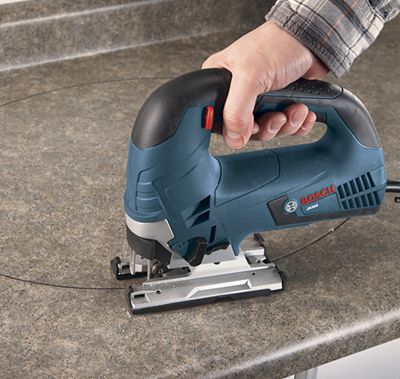 A dial on the back of the tool controls the maximum speed; the accelerator trigger regulates the operating speed. 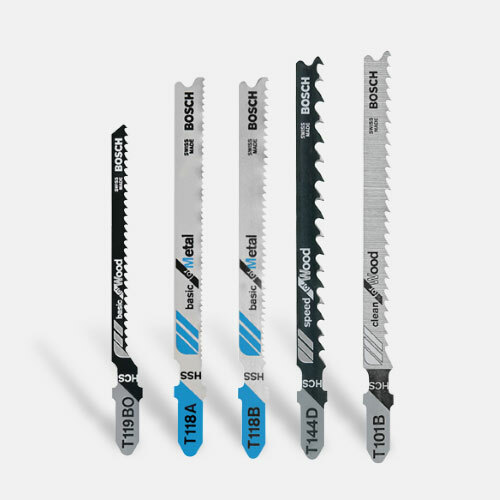 This jig saw is engineered with a precision-machined plunging mechanism and low-vibration design, delivering enhanced accuracy and extremely smooth operation. 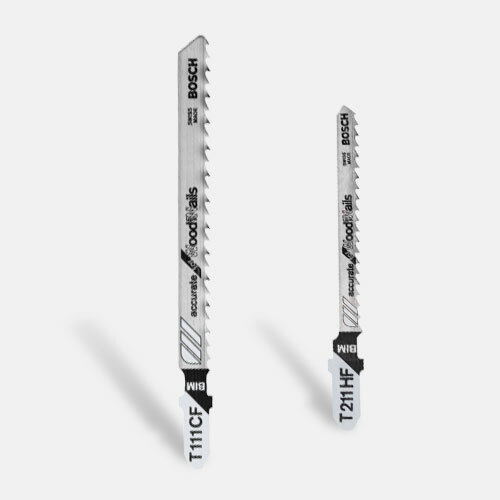 Also, it was designed with soft grip areas for solid handling. 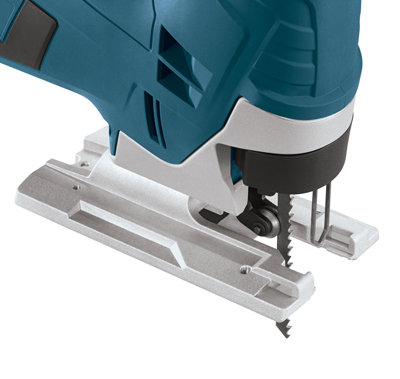 The sturdy die-cast aluminum footplate includes a steel insert and on-board storage of bevel hex key. 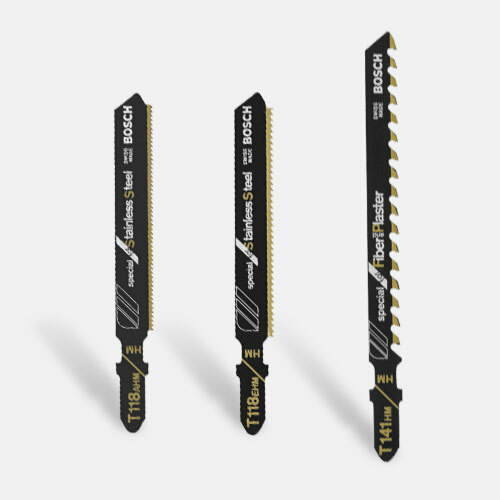 The JS365's multidirectional blade clamp delivers superior grip of T-shank blades (but it does not accept U-shank blades). 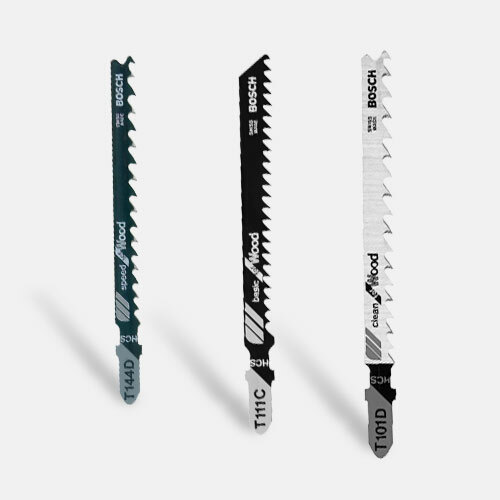 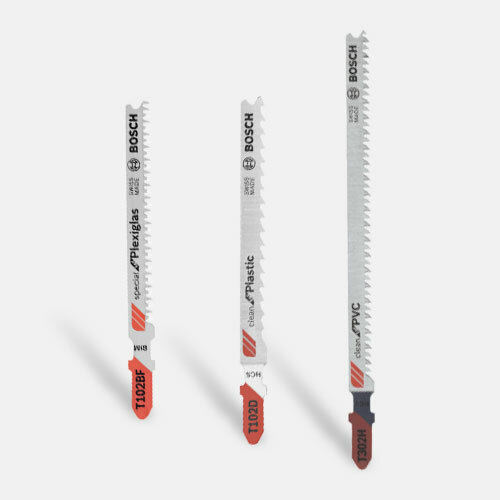 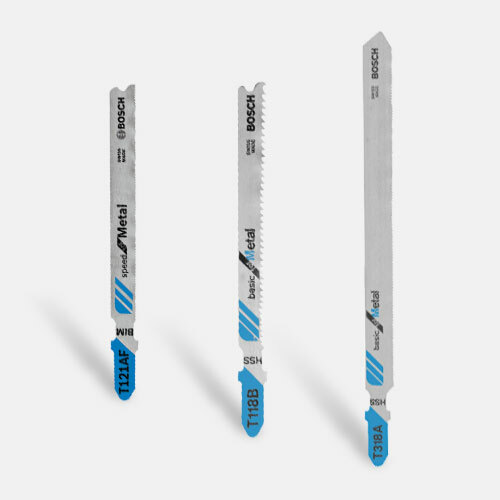 The toolless T-shank blade-change system affords fast blade insertion and removal. 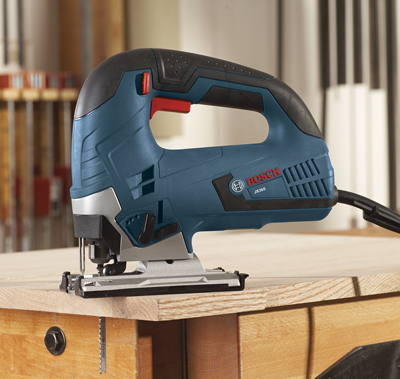 It has a dust blower (with an on/off switch) for max cut-line visibility. 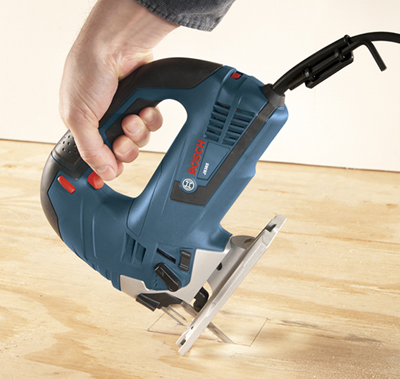 Cutting Capacity- Soft Wood 3-1/2"